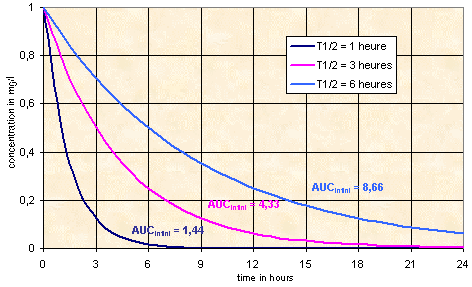 Plasma concentration-time curves after intravenous administration of the same dose of 3 different drugs with different T1/2, 1, 3 and 6 hours. AUC represents the amount of a drug which has been present in the body. It is proportional to T1/2.